Yesterday I visited the grave of Sylvia Plath. For anyone who doesn’t know, she was an American poet who was married to Ted Hughes, the poet Laureate. He was from this part of West Yorkshire originally, and they lived at Lumb Bank, Heptonstall, which is now an Arvon Foundation house. Sylvia committed suicide in 1963 and is buried in the graveyard there, high on a hill overlooking the steep wooded valleys where Ted grew up, and found inspiration for his poetry. Her grave has become something of a shrine. Yesterday I stood with a friend (who co-incidentally comes from the same part of the US as Sylvia) in the pouring rain, studying the wilting flowers, little goddess figures, polished pebbles and all sorts of other odds and ends that people had left, but the main image that has stuck in my mind was the big pot of pens tucked in beside the headstone. Old pens, new pens, cheap pens, and some that could have been relatively expensive. Their value, though, wasn’t in what they may or may not have cost originally, but in the fact that someone had put each one there as a tribute to Sylvia Plath. And I wonder too, how many of those people were also budding poets, who whispered a little message asking the woman lying in the grave for inspiration. Lovely post on Plath - I'm fascinated by the way we (modern humanist/protestant/pagan/rationalists) create shrines - seems to be some fundamental human need. 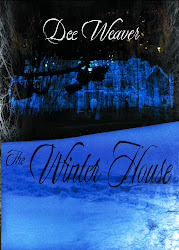 Just downloaded your book The Winter House after reading your guest blog and am enjoying it very much. Interested in your comments here on why the publishers wouldn't take a chance on it - Linda Gillard over at KindleAuthorsUK had the same experience. I've just started Kindling my backlist and am going to put up the novel I wrote which, because it was 'crossgenre', didn't find a buyer. Doesn't it feel good to be able to be independent? Many thanks, Kathleen, I'm so glad you're enjoying The Winter House! I'll go over to KindleAuthorsUK and track down Linda's comments on her experience, and don't forget to let me know when yours is available. Yes, it feels great to be independent of publishers' whims. Right now, someone would have to offer me a pretty mega deal to persuade me to give that up. Thanks for the lovely post on your visit to Heptonstall. It's a deeply inspirational location; I'm so grateful she is buried here. I can understand why it has become a shrine, not only to writers (and musicians), but to anyone who feels the need to create some kind of art from their own experience. I gather you live in the area too?